Growlers from around the state at the Garden State Craft Brewers Guild Meeting in Tonewood Brewing of Oaklyn. Credit: Dave Cimetta. In the five years since New Jersey loosened the reins on craft brewing to help the industry compete with larger brewers, consumers have responded. Now brewers are hoping to capitalize on that growth. 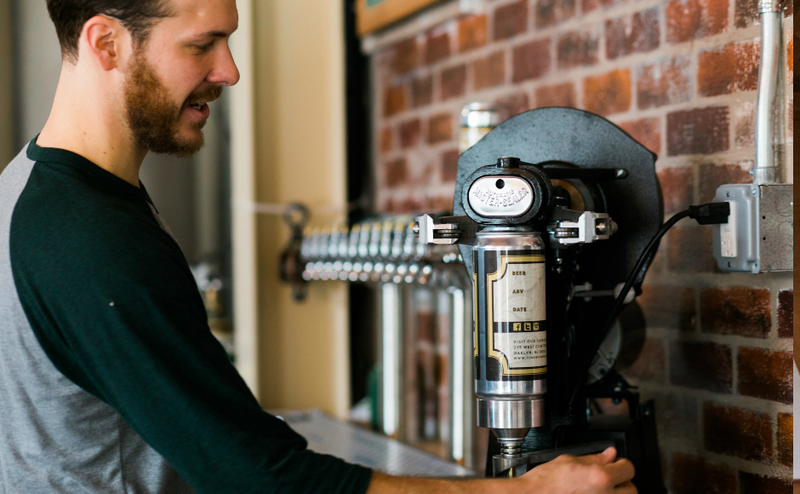 Eli Facchinei operates the crowler bar-top sealer at Tonewood Brewing in Oaklyn. Credit: Tricia Burrough. In the past five years, craft brewing in New Jersey has accelerated exponentially, largely due to a legislative change that removed production caps and allowed brewers to introduce customers to their products at onsite tasting rooms. The economic impact of that legal groundwork has been significant, accounting for about 9,500 jobs and $1.2 billion in annual sales across nearly 70 breweries, with another few dozen in the works. Now brewers are looking to leverage that market clout to clear away some legal restrictions they say are antiquated holdovers from a time when the industry was in its infancy. On Monday, the Garden State Craft Brewers Guild gathered at Tonewood Brewing in Oaklyn to talk about the state of the business and coordinate lobbying efforts to smooth the runway for its takeoff. Chuck Garrity, whose Clarksboro-based Death of the Fox combination brewery-coffee roastery is slated to open to the public in May, said the Guild is still a young organization that’s finding its way. Newer operations like his comprise a significant number of its ranks, which have swelled from 10 breweries in 2012 to more than 60. 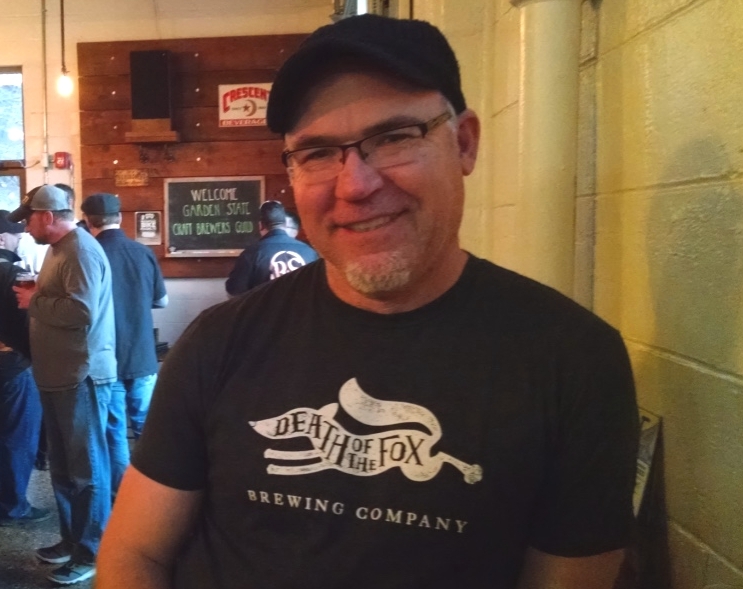 Chuck Garrity of Death of the Fox Brewing. Credit: Matt Skoufalos. As the industry continues to grow, it’s trying to shed some of the regulations that brewers say are a holdover from a time before lawmakers had much of a data trail about it. 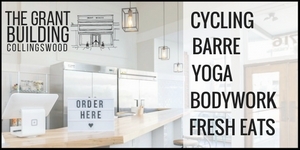 At the top of that list are the rules that obligate brewers to provide customer education and forbid them from offering food of any kind, including free bar snacks. Expecting brewers to stop what they’re doing to lead every customer through a tour is a regulation that Garrity described as needlessly prohibitive, inconsistently followed, and poorly defined. The food issue is another stumbling block particular to Garrity’s model: the same 2012 law that opened the doors for breweries to expand also prohibits them from serving food. As a result, the Guild is working on draft legislation that would let breweries formally vend “or make the gratuitous offering of packaged crackers, chips, nuts, and similar snacks.” It may seem like a small concession, but it’s a meaningful one for businesses that don’t want to run afoul of the state division of Alcoholic Beverage Control over a bowl of peanuts. 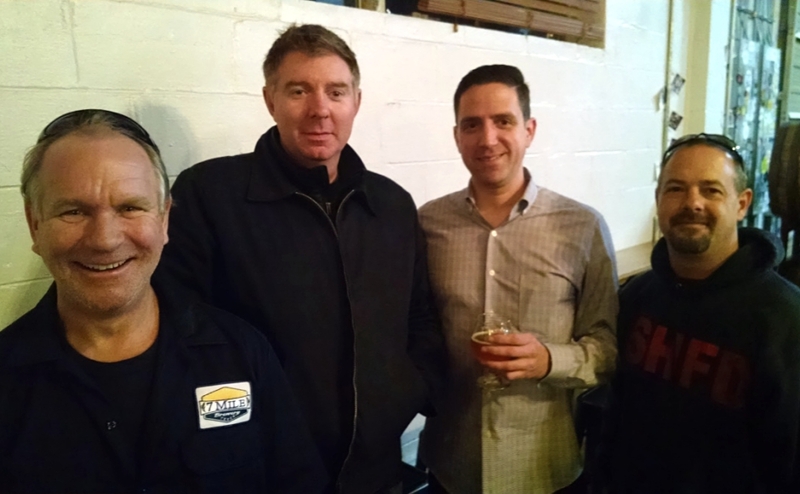 From left: Pete Beyda of 7 Mile Brewing, Michael Kane of Kane Brewing, Jason Carty of the Garden State Brewer’ Guild, and Chris Collett of 7 Mile Brewing. Credit: Matt Skoufalos. Another byproduct of the relative youth of New Jersey’s craft beverage industry is the need for many of its newly professional brewers to elevate their beer to a higher standard. For smaller breweries who are just trying to make a consistent product, quality control can be a sink-or-swim litmus test. Although the explosive growth of the industry is “exciting,” said Ryan Krill of Cape May Brewing Company, pressing to improve per capita growth shouldn’t outstrip a collective push to produce a better finished product. He’s hoping the Guild will formalize guidance to help some of the more established brewers in the state to share technical expertise with their younger cohorts. Kane pointed out that even though his brewery benefited from the 2012 legislation, the industry has evolved rapidly since, and adapting to its transformation is an ongoing process. Cape May Brewery. Credit: Matt Skoufalos. Garden State Brewer’s Guild Executive Director Jason Carty said the growth of the industry makes it possible for craft brewers to challenge the established rules that hamper their operation. Guild members cater to a customer base in the hundreds of thousands, which gives the industry the voice it needs to contribute to policy discussions at a legislative level, he said. 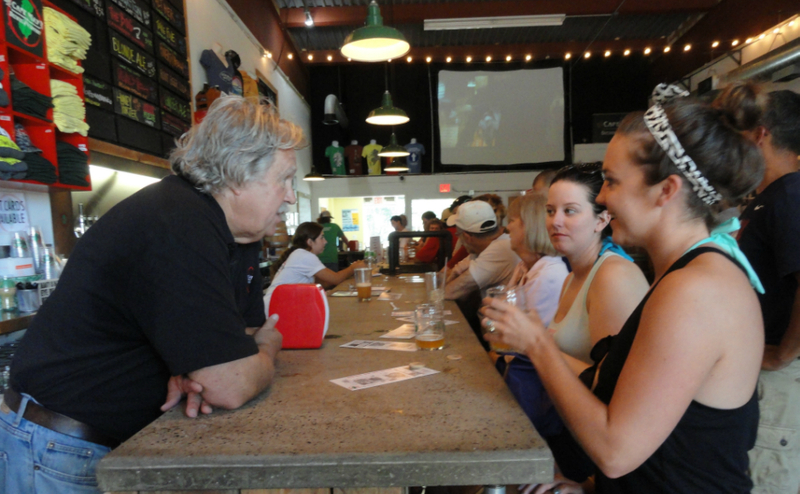 Beyond consumer demand, Carty said local governments have recognized the community value of having craft breweries; six towns in the state—Pitman, Hammonton, Medford, Mount Holly, Asbury Park, and Hackettstown—even have two. 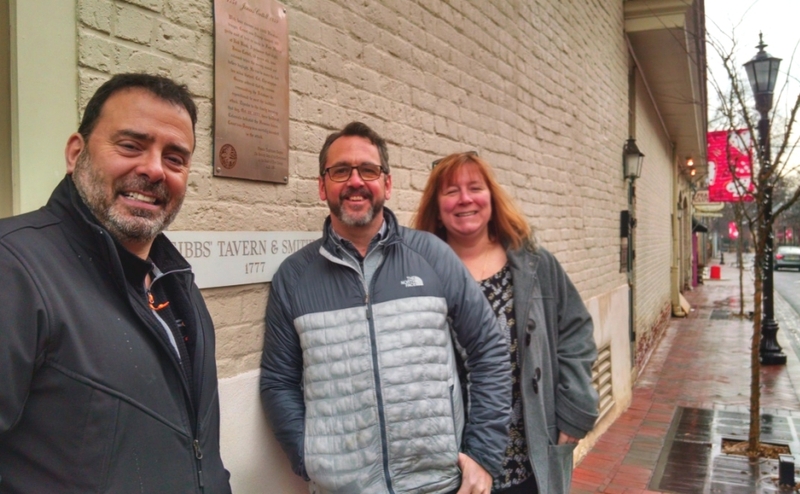 From left: Bob Hochgertel, Chris Thomas, and Vicki Jensh Cummins of King’s Road Brewery in Haddonfield. Credit: Matt Skoufalos. That’s the perspective of a quintet of Haddonfielders who have plans to open the first nanobrewery in the municipality. King’s Road Brewing is a proposed, 3.5-barrel brewery that would be situated in the historic Gibb’s Tavern building at 127 Kings Highway East. Its owners, a group of longtime residents, believe their plan can help sustain the heart of a downtown they say is losing business to communities that have been quicker to embrace the craft beer trend. “From a lifelong Haddonfield resident, I want the downtown to flourish,” said Vicki Jensh Cummins, who’s lived in the borough for 47 years. 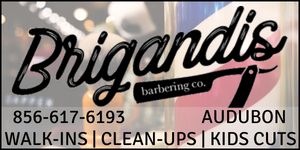 Jensh Cummins and her husband, Neil, are among the principal partners of King’s Road, along with Jeff Farrell, Pete Gagliardi, Markeim Arts Center executive director Bob Hochgertel, and former Local Market owner Chris Thomas. 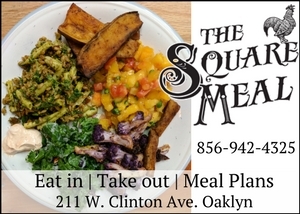 Although the borough downtown has seen an uptick in its dining scene with the recent addition of BYOB eateries like Two Fish, Zaffron, and Sanook Thai, Hochgertel said residents who have to leave town to get a bottle of wine or a six-pack to consume with a meal often don’t return to eat. “Once we leave town, it’s easier to stay out of town,” he said. King’s Road Brewing Company Logo. Credit: King’s Road Brewing Company. 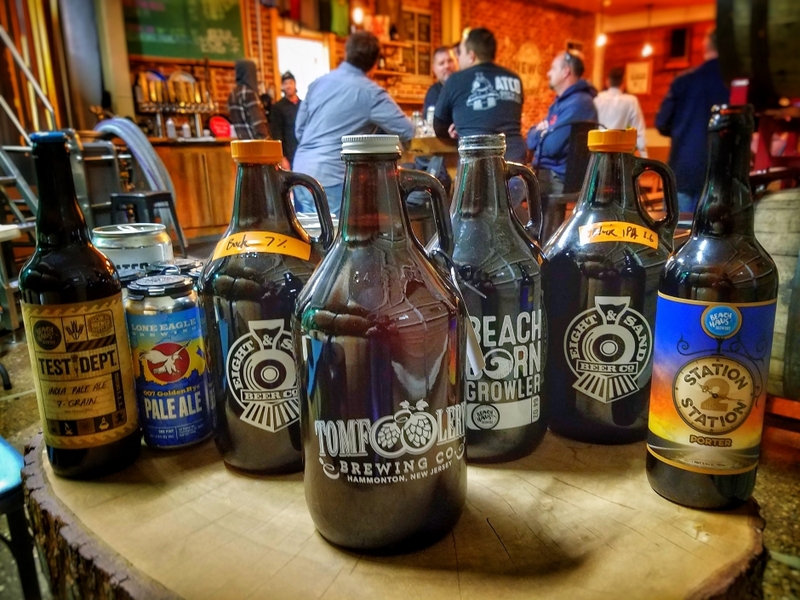 Instead of “dividing an existing pie,” Hochgertel said King’s Road Brewing is positioning itself to send additional traffic to restaurants in the borough. The nanobrewery plans to feature an app that will let customers to order from local restaurants and pay them directly. 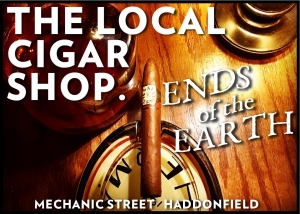 Haddonfield, like many other municipalities, has traditionally been a dry town, yet it is not defined as such by any local ordinance. However, the borough is about to host its third Uncorked event, multiple BYOB restaurants in town have partnerships with Jersey wineries to distribute their products, and experiential businesses like Painting with a Twist encourage responsible consumption as an amenity. In short, Hochgertel said, “there are successful alcohol events in Haddonfield all the time, and this [plan]is in keeping with that. 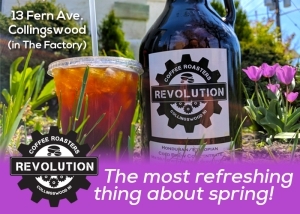 And if the Haddonfield zoning board passes on King’s Road, as happened with Eli Facchinei’s initial push to bring Tonewood to Collingswood (which later relaxed its stance to add Devil’s Creek Brewing), a neighboring municipality could be quick to snap it up.